Well, technically not until March 20th but I don’t want to wait anymore. 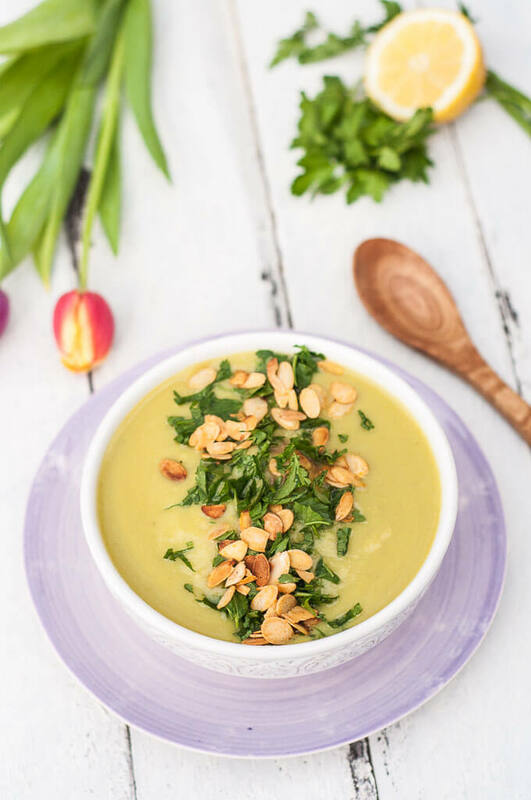 This Healthy Potato Pea Soup just screams spring to me. 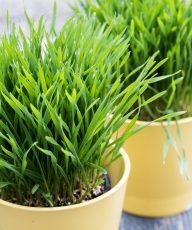 Peas and early potato varieties are in season starting in April. Thank goodness though that potatoes can be bought all year around and frozen peas always do the trick. 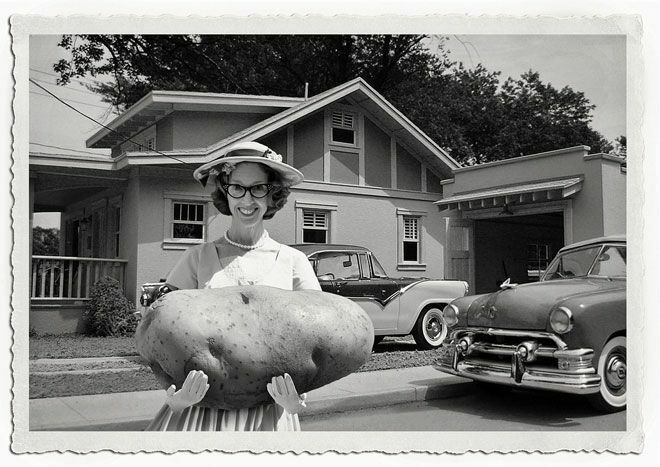 I’m actually not much of a white potato lady. I’d rather always pick sweet potatoes instead. However, this pea soup would be NOTHING without the potatoes. Potatoes are what make this soup nice and creamy without having to add any type of milk or cream. So, we have a healthy potato pea soup. How do we make it more exciting? One of my favorite things to do with a soup is to load it up with goodies on top. Oh, wait…not THOSE kind of goodies. 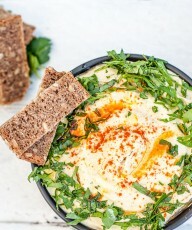 I’m talking about the kind of soup goodies that give your soup more flavor, texture, and pizzazz. It doesn’t need to be super complicated. It might just be a drizzle of balsamic, sprinkle of fresh cracked pepper, or some croutons. For this healthy potato pea soup I wanted to still keep it simple. So, I topped it with more fresh parsley and lightly toasted sliced almonds. It takes about 5 more minutes to prepare but it’s so worth it! 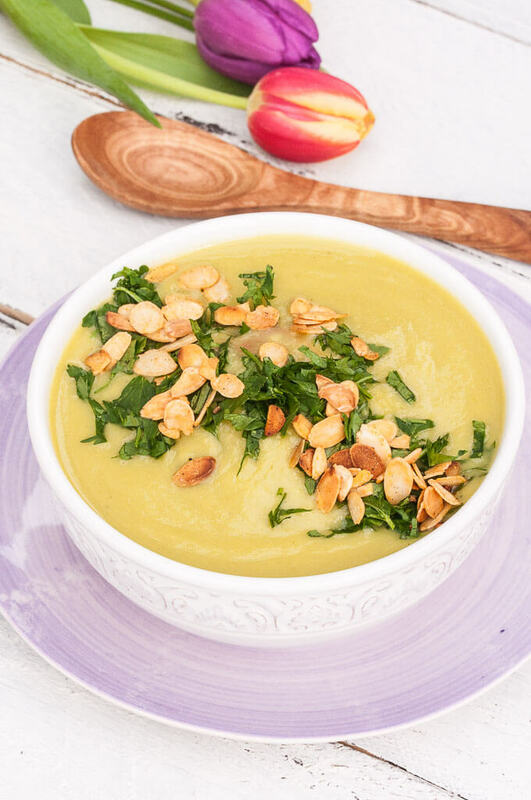 A creamy, healthy soup made with peas and potatoes. Don't skimp on the fresh parsley and almond slices added on top. Play around and use different nuts or croutons for garnish. Heat olive oil in a large stock pot over medium-high heat. Add chopped onion and fry in oil until they become slightly translucent. Add minced garlic and parsley to onion and continue to cook until garlic becomes fragrant, about 2-3 minutes). Add diced potatoes and peas to stock pot and cook for 5 minutes. Slowly add vegetable broth. Vegetable broth should cover the vegetables. If not, add a bit more vegetable broth. Bring to a boil, reduce heat and simmer for 15-20 minutes until potatoes can easily be pierced with a fork. While soup is cooking, toast almond slices in a fry pan over medium-high heat. 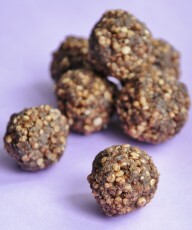 Do not use oil and constantly stir the nuts around until they are toasted and browned to your liking. 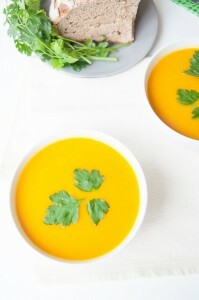 Use an immersion blender to puree soup or carefully add to a blender until smooth. Return pureed soup to the stock pot. Season with salt and pepper to taste and add fresh lemon juice (optional). 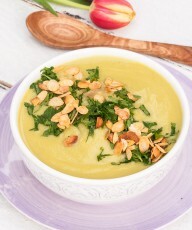 Serve soup hot and garnish with more chopped parsley, toasted almond slices and fresh cracked pepper. 1.) The calorie count excludes the extras (toasted almonds and parsley)2.) Store the soup covered in the refrigerator and eat within 4 days. Otherwise, you may also freeze the potato pea soup. Super freezer-friendly! 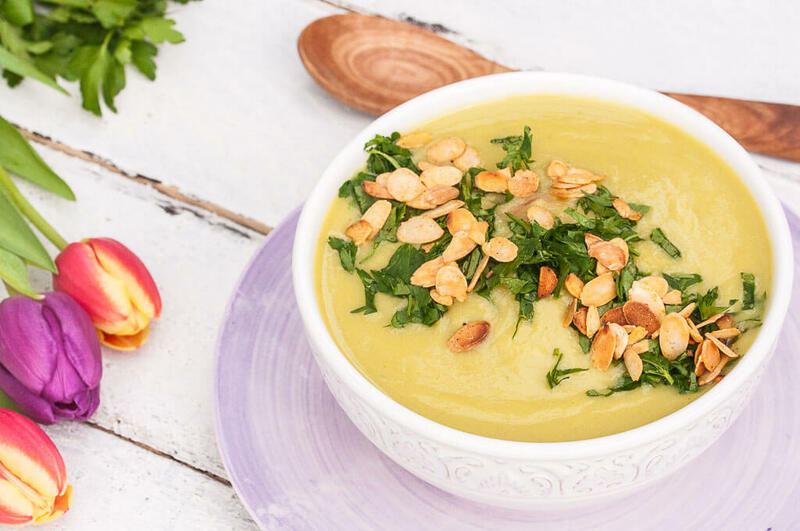 This Healthy Potato Pea Soup isn’t floating your boat? Thanks Kat, Let me know when you try it! I love potatoes and peas together, but I don’t think I would have ever thought to combine them in a soup. Sounds delicious!! 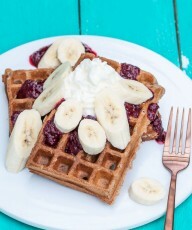 I’ll be trying this very soon! This is seriously one of the prettiest soups I’ve seen! And I love the ingredients. I don’t think I can let spring pass without giving this a try! Thanks, Gin! Let me know when you try it! Potatoes and peas are my favorite veggie combination. I love the idea of turning them into soup. And those nuts look to die for. So much flavor and texture in one healthy bowl. 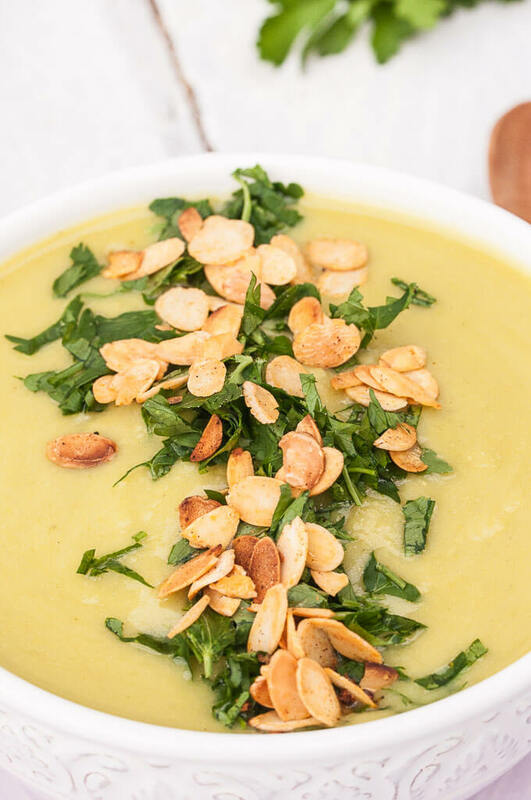 I love potato soup and I love pea soup, so I know I’d love this! All that garlic in there too, YUM! It sounds really flavorful! 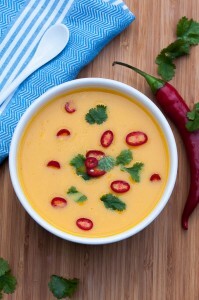 This soup is delicious and refreshing as it is healthy. I doubled the amount of onions and added several chopped mint leaves to the mix. 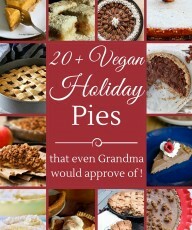 Highly recommended – excellent recipe, thank you!